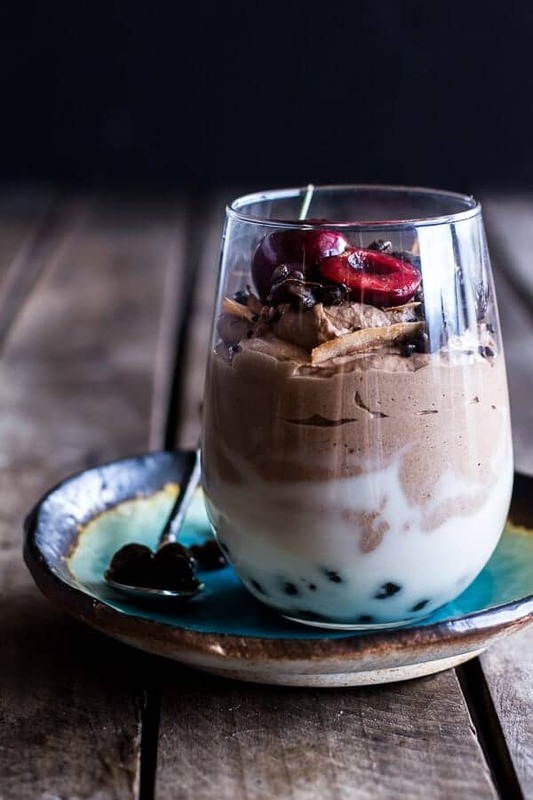 Chocolate Tahini Mocha Mousse w/Coconut Bubble Milk + Chocolate Espresso Beans. Oh my gosh, that name. I am so sorry about that name. Sometimes recipe names just come together and sound awesome, and then there are times like today. Today’s recipe is awesome, it just had a difficult time finding a nice little category to fit into. It is kind of an odd recipe, and you are probably thinking a little out there too. Well, it probably is out there, but sometimes those are some of the best creations. I’m really not one hundred percent sure what these little desserts are, but I do know that they are pretty good. It’s definitely chocolate mousse, but then there is the Boba Pearls part. This is the part that totally stumped me. I wasn’t sure what to call this part because it’s creamy like pudding, but not quite as thick, so I went with calling it bubble milk. Boba Pearls are another form of tapioca pearls. They do not consider these the quick cooking variety (but they still cook quick-?). Typically they are used to make Bubble Tea, which I have yet to try. Unfortunately I am a tea hater, but I am thinking that I might actually enjoy sweet creamy bubble tea. Plus umm, the pearls themselves are awesome. So cheewy. I cannot get over the chewiness. 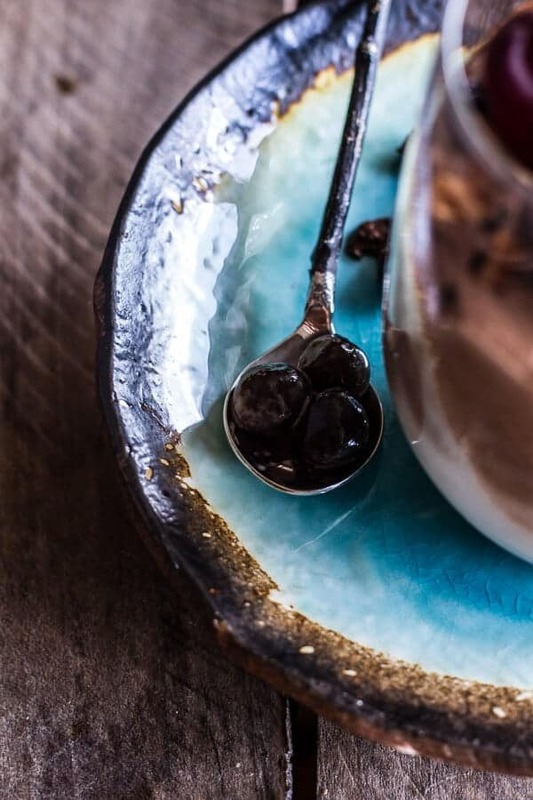 I had bought Boba Pearls a while back when I read this post by Molly over at Food 52. I knew I had to try those cute little pearls, but I just didn’t know how exactly I was going to use them. The other day when I was staring into my pantry I saw the little black pearls. Honestly, they kind of freak me out a little. They are black and a little bit creepy, sitting in a bag that I cannot even read because it is all in Japanese, or at least it’s some type of language I cannot even begin to try and figure out how to read. I told myself right then that I had to come up with something sweet to make with these (if for no other reason than to get them out of my pantry!). And when in doubt, I always turn to chocolate mousse/pudding like things. Well that and the creamy, chewy boba tapioca pearls mixed with light and fluffy chocolate mouse sounded like a pretty good combo to me. As did adding a little coffee and a little tahini to carry out the ethnic flavors going on. Everything about this is pretty simple and straight forward AND these are no-bake, quick to make and not a lot work. Yeah! The Bubble Milk is so easy, you literally just have to watch as those little pearls plump up and become soft chewy bites of magic. Seriously, the texture of these boba pearls is amazing. If you like tapioca pudding than this is so your thing. I couldn’t find any of these boba pearls in my grocery store so I ordered them on Amazon. I am sure that Whole Foods and other grocery stores do carry them though. I Just live in the middle of nowhere. If you can’t find them you can order these. I’m sure regular, quick cooking tapioca would work fine too. Just be sure to adjust the cooking times and add more or less coconut milk if needed to thin. As for the chocolate mousse, well I just took my favorite recipe and adapted it a little. I know that chocolate and tahini may sound a little odd, but you guys. I am hooked on this combo. It’s one of those combos that you might never think to try (or at least I didn’t for a while), but when you do it’s like “why haven’t I been eating this my whole life”? I have no doubt that you will love it. And there is coffee going on in the mousse too. That I already knew I would love, but the combo of coffee and chocolate is a classic. Oh, oh and then you have to finish these off with chocolate covered coffee beans and a sprinkle of toasted sesame seeds. It’s not negotiable. Do it. 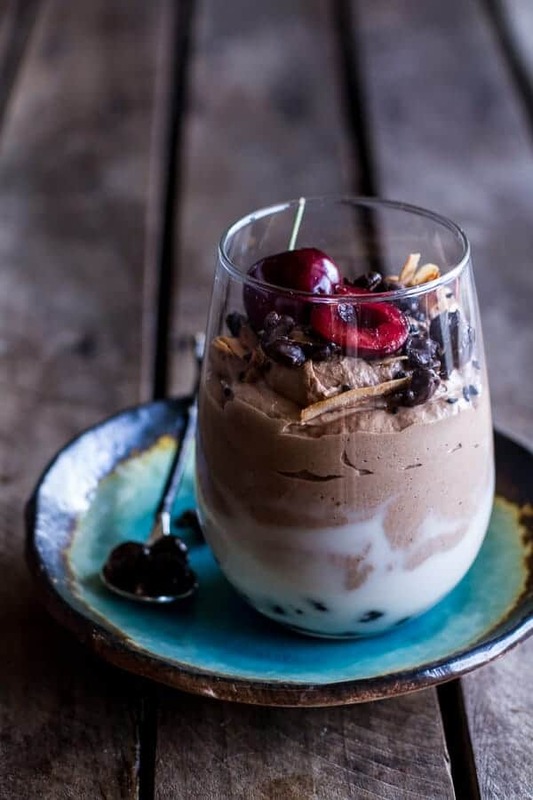 Chocolate Tahini Mocha Mousse w/Coconut Bubble Milk + Chocolate Expresso Beans. Start out by making the bubble milk. In a sauce pot combine the coconut milk, 1/4 cup water, the sugar (I used 2 tablespoons coconut sugar) and vanilla bean + seeds. Bring the mixture to a boil, add the boba pearls and reduce the heat to a simmer. Simmer 15 minutes, then taste one boba and make sure it is soft in the middle. Once soft remove from the heat and add the vanilla extract. Allow the boba milk to sit for another 15 minutes. After 15 minutes if the boba milk seems too thick add 1/4 cup more water. Divide the boba milk among 4 glasses. Place in the fridge. While the boba is cooling make the mousse. In a microwave safe bowl add the chocolate, butter and 1 tablespoon water. Microwave on 30 second intervals, stirring after each, until melted and smooth. Set aside to cool. In a small sauce pan whisk together the egg yolks, 2 tablespoons water and the sugar. Place on the stove over medium-low heat and stir constantly until the sauce thickens slightly and just coats the back of a spoon, about 2-3 minutes. Stir the melted chocolate into the egg mixture until completely smooth. If there are any clumps of egg, strain the mixture through a fine mesh stainer. Stir in the tahini and coffee. Place in the fridge while you whip the cream. 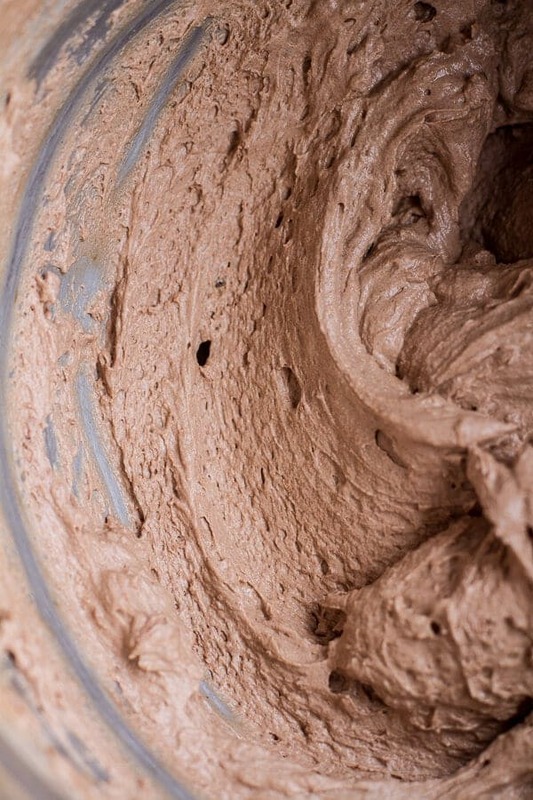 Place the cream in the bowl of a stand mixer and whip cream until stiff peaks form, making sure not to over-beat, cream will then become lumpy and butter-like. Now add half the whipped cream to the cooled chocolate mixture. Gently fold the cream into the chocolate until no more streaks remain. Add about 1/4 of the remaining whipped cream and gently fold into the mousse. If you like a very light and whipped mousse add the remaining cream, if not save it for another use. Divide evenly over the boba milk. You may have left over mousse depending on the size of your glasses. Place in the fridge for at least one hour or until cold. 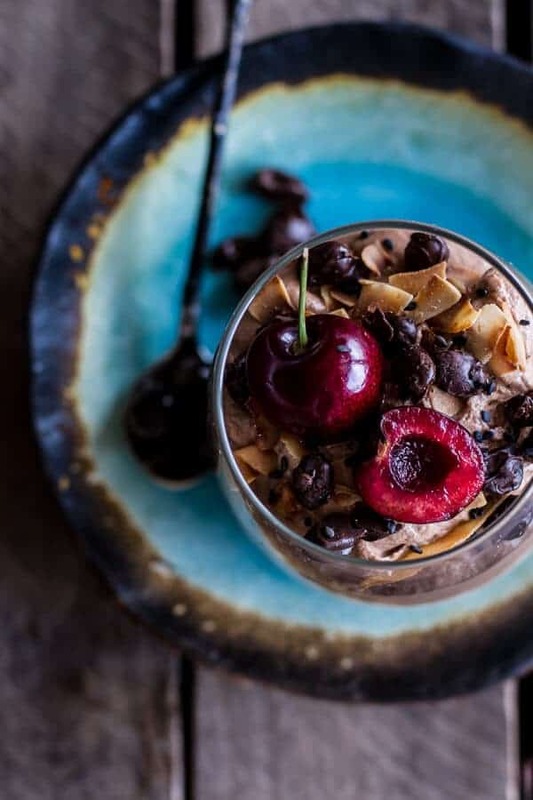 When ready to serve, top with toasted coconut, chocolate covered coffee beans and a sprinkle of toasted sesame seeds. Add a cherry if desired. Enjoy! That’s a good lookin bite, right?!?? Perfect for a happy Tuesday! 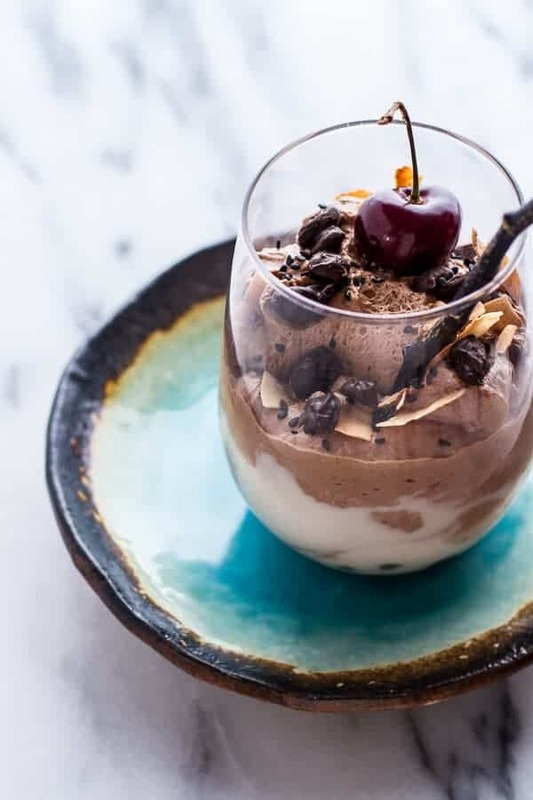 Chocolate Peanut Butter Bubble Panna Cotta with Honey Roasted Peanuts. Ooooh yes please! 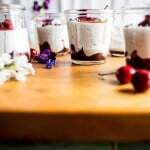 These look delicious – I’m pretty sure I wouldn’t be able to stop at just 1 jar. Just made this for dessert tonight! When do you add the tahini? I left it out this time because I wasn’t sure. Thank you so much! Hope you are having a great, Tuesday! Ahh, you’re making me hungry!!! (: I want a bite! I ought to try this sometime, it looks awesome. Thanks for the recipe! This looks amazing! I love chocolate mousse but I’ve never tried boba pearls…thanks, Tieghan! Thank you so much, Bri!! 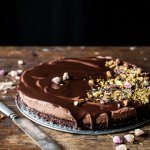 Chocolate and tahini is an amazing combo! Chocolate and sesame seeds–YUM! Need to get me some boba pearls. I can’t believe I went so long without trying it, it’s awesome! I can’t even get my head around this dessert its so amazing. I am a fan of bubble tea and thai ice tea. You would probably like thai Ice tea because it’s made with condensed milk and its so good. Those cherries look so good. 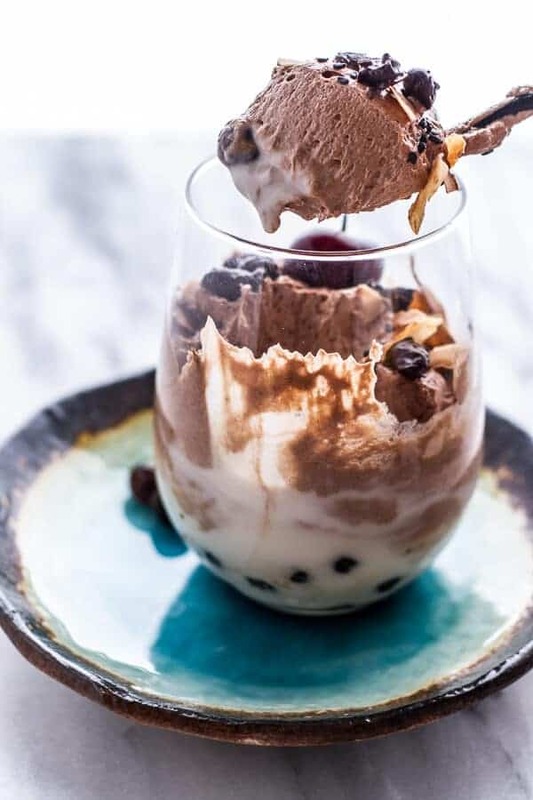 I want this dessert…of course I don’t have boba pearls in my pantry so I’ll need to shop first. Thanks Lisa!! I bet Thai iced tea is awesome! Strange name or not – that looks absolutely amazing! And, I LOL’d at Bubble Milk. I’ve never heard that term before. I’m liking the name!!! I would not have thought to use tahini but I guess it’s kind of like chocolate and peanut butter, I will have to try it! Love the cherry on top! You have to try the combo, it is so good! Thanks Kevin! This is just a dose of awesomeness to start my day – love it Tieghan! what the WHAT! my mind is boggling over all of the awesomeness that is taking place in one dish. 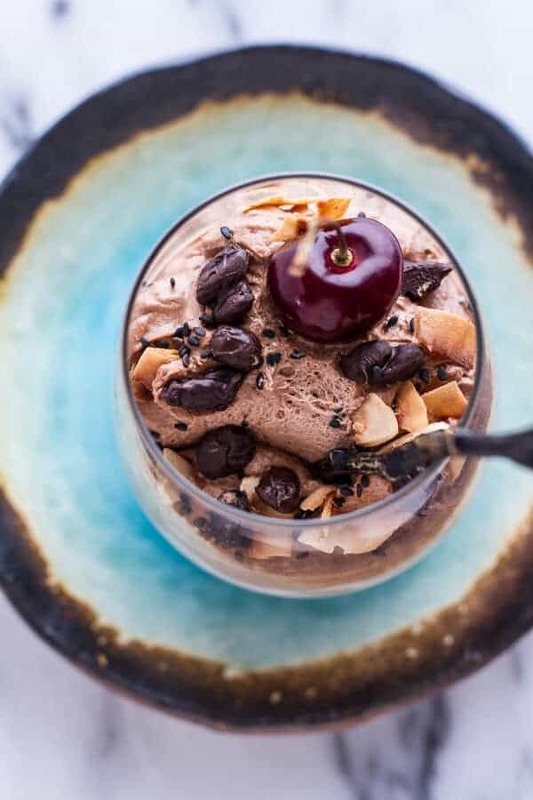 like, at first i almost died over the chocolate tahini mousse part (omgomgomgomg) and then COCONUT BUBBLE MILK? sista this me in trifle version. i am obsessed. I thought this would be something you might like! Thanks! Wow!!! Those are some serious flavors. My kids love bubble tea so why not put them in dessert?! Right?!? It’s perfect for dessert. Thanks Liz! Thanks so much and yes, they are delicious in a dessert too! 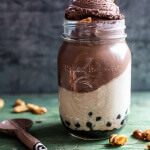 I’ve never heard of boba pearls but now I want to try them – if only to make this dessert. Looks amazing! I love everything about this dessert. Yum! 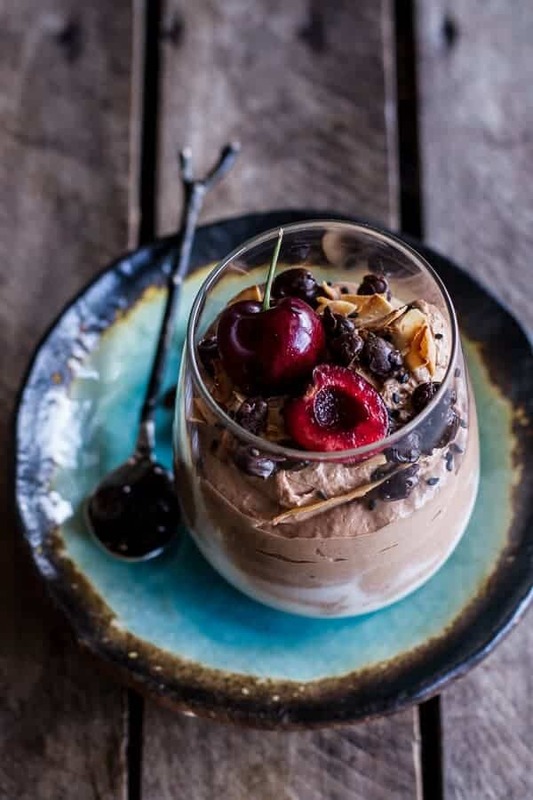 I haven’t had chocolate mousse in forever but now I’m craving it – what great flavors! These are so lovely, T! Gorgeous photos, too ( as always! ). as if the only flavors are ethnic(anything non european/american) and non-ethnic (anything not european/american) when in actuality there are countless flavorous from countless cultures. I made your chocolate birthday cake today and it was a huge hit! I love chocolate and tahini together! This looks so delicious. 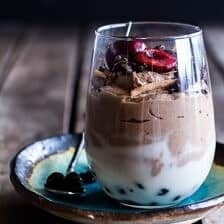 I’ve never been a fan of bubble tea but seeing this gorgeous coconutty, tahini spiked chocolate mousse has totally got me sold! Love your creativity here. The combinations sounds divine. Wow – how pretty does this look?! The title is a mouthful for sure but you can’t leave out any of those words b/c the combo is totally amazing!! I want a bite right now! Yes, I know. Big typo on my part. Sorry! There is no such thing as expresso!!! Oh my gosh, thank you so much for pointing this out to me. I need to proof a little better clearly. Thanks again! These desserts look insanely good and your photographs are GORGEOUS! 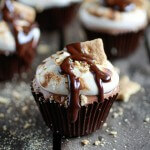 I may not try them, simply because I gained weight just looking at the photos! Love your blog. I’m from South Africa and we don’t really have products like the Boba Topioca Pearls in any of our local stores… Is there any other product that you can recommend to be used instead? Hi! I think you could make kind of a sweet rice milk version. Maybe use around 1/4 cup rice and cook it right in the coconut milk. I think that would be great too! Thanks so much and I hope you love this! Oh, this must be so yummy! And your photos are so beautiful and inspiring. THANK YOU! Have a great Sunday! yum! what brand of tahini did you use? What if i don’t have boba pearls in my country? Hi! You can omit those from the recipe. Please let me know if you have any other questions, thanks!